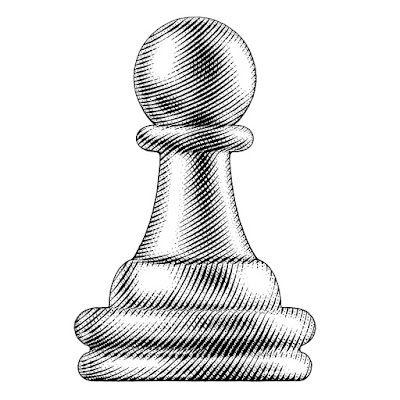 - (chess) The most common chess piece, or a similar piece in a similar game. 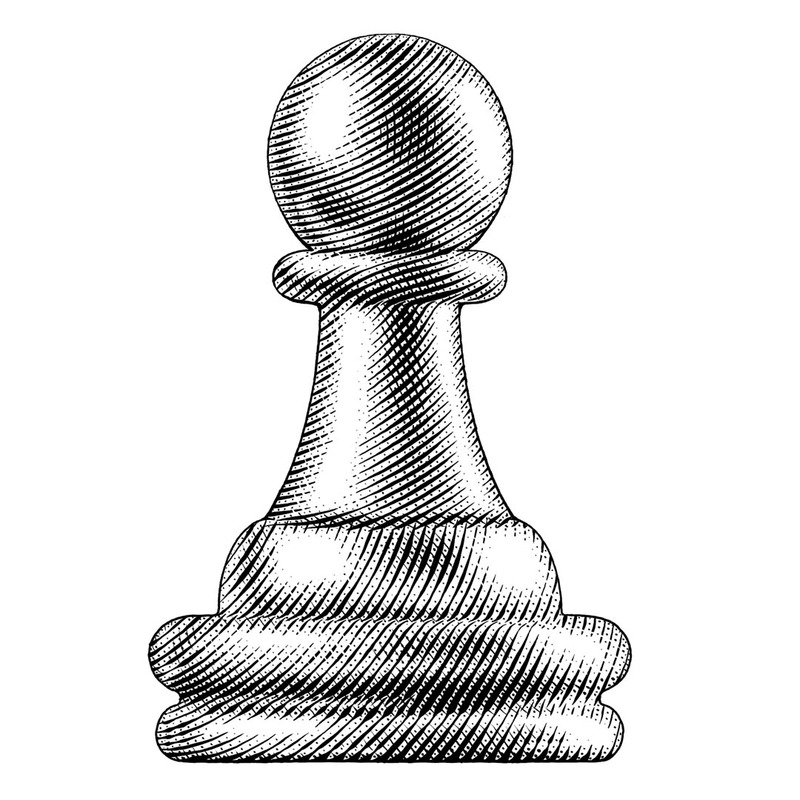 In chess each side has eight; moves are only forward, attacks are only forward diagonally or en passant. - (colloquial) Someone who is being manipulated or used to some end, usually not the end that individual would prefer. Though a pawn of the gods, her departure is the precipitating cause of the Trojan War.